At any given moment, there are approximately a zillion crowdfunding campaigns on the web. Take a stroll through Kickstarter or Indiegogo and you’ll find no shortage of weird, useless, and downright stupid projects out there, alongside some real gems. In this column, we cut through the worthless wearables and Oculus Rift ripoffs to round up the week’s most unusual, ambitious, and exciting projects. But don’t grab your wallet just yet. Keep in mind that even the most well-intentioned crowdfunded project can fail. Do your homework before cutting a check for the gadget of your dreams. Smartphones have been a revolution in personal communications, but as advanced as they may be, they are still limited by the range and distribution of cell towers. If you are in an area with poor service (or even none whatsoever), you may as well try smoke signals to communicate. The team behind the goTenna Mesh hope to fix this problem with their device, which functions as a portable radio relay for phones. Users connect their phone to the device using Bluetooth. 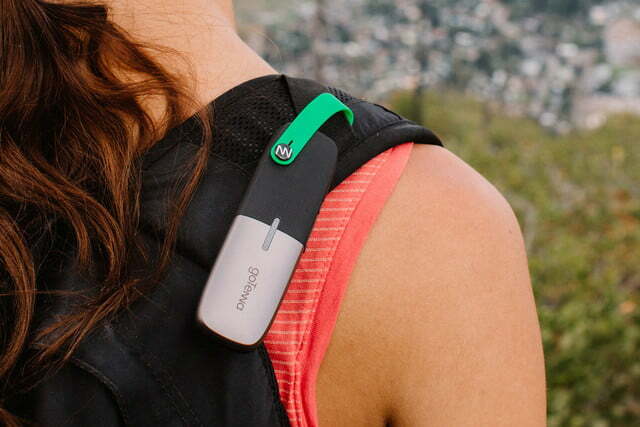 When someone sends a message, the GoTenna Mesh broadcasts it through a UHF radio transmitter. The message will bounce to other nearby Mesh units until it reaches its destination; for the sake of privacy, the people functioning as relay points will not be able to see the messages. Of course, this system depends on people nearby having their own goTenna Mesh. As such, the company plans to sell them in pairs, so groups of friends traveling or going into the wild together will be able to connect. Many people who have held a high-end camera, digital or otherwise, may have been perplexed by the many buttons and dials at their fingertips. Photography can be a dense hobby, and even as smartphones have made it more accessible, burgeoning shutterbugs may still fret over what filters or contrast levels to use in their photos. Lomography was developed to smash preconceptions about photography, encouraging users to take spontaneous photos with simple devices, focusing on the beauty of natural, everyday circumstances rather than carefully composed scenes. 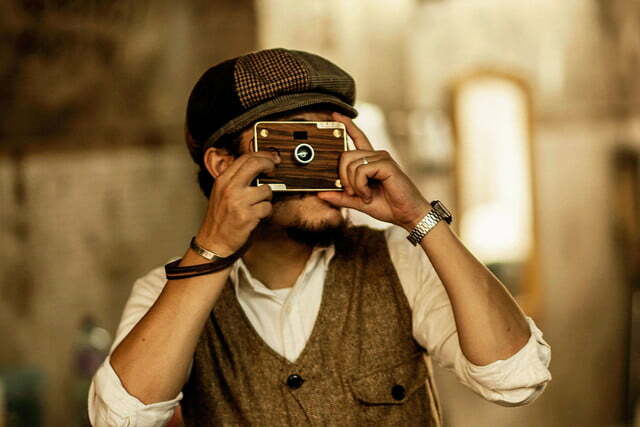 The Croz digital lomo camera embraces this ethos, offering users a simple, two-button camera in a minimalist frame. Although digital, the camera uses a direct viewfinder, so there is no fiddling with distance; simply point and shoot. The camera itself is a work of art, available in cases made from various woods such as European ash and North American black walnut. The camera has a Micro USB port and can support 32GB SD cards. Campers and hikers prone to long adventures in the wilderness may run into power shortages from time to time. Batteries may suffice for a flashlight, but what if you need to check your phone days into a trek? Depending on the weather, the SunnyBag Leaf+ may be the most convenient, environmentally-friendly option available. 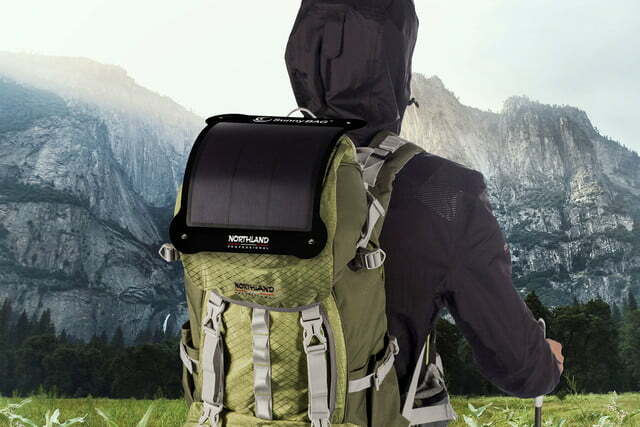 Comprised of silicon solar cells, is lightweight (198g) and flexible, gathering charge as you carry it throughout the day. Equipped with Lightning and Mini USB ports (as well as USB Type-C, depending on stretch goals), the Leaf+ can charge a variety of popular devices. It is definitely a project to keep an eye on if you love the great outdoors. Sunny days are perfect for adventures, until the heat becomes sweltering. For those who want to enjoy a nice day outside without sweating out all their vital fluids, the Zero Breeze may be the coolest gadget around. 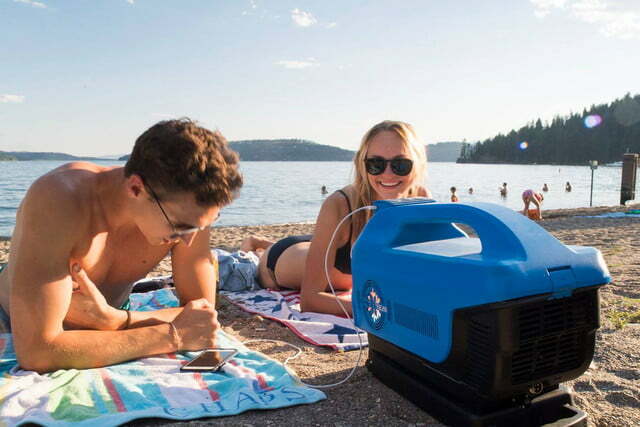 The Zero Breeze is relatively lightweight (14 pounds) portable air conditioner you can use indoors and out, making even the hottest day bearable. The creators assert the the device can cool a 50 square foot room down to 44 degrees fahrenheit. The battery last for an estimated five hours, and keeping you cool is not all the Zero Breeze does. It has two USB charging ports, so you can charge your phone or tablet, an LED light to illuminate room or tents at night, and a Bluetooth speaker. The Zero Breeze seems like an incredible tool for those who plan to do any hiking or camping in hot climates. Live music is thrilling, at least until you leave the concert after two hours and hear that ringing in your ears. While tinnitus does not always cause serious harm, that ringing can sometimes be a prelude to permanent hearing damage. Given how many concerts and clubs have music playing well above safe levels, earplugs are a necessity to prevent hearing loss, but many of them can be ugly, or make it difficult to hear the world around you. EarDials are a pair of smart earplugs, designed to fit comfortably and stealthily in your ears, filtering out harmful noise without blocking all sound. Made of transparent silicone, the earplugs blend in with the your skin, and are soft enough for extended use. 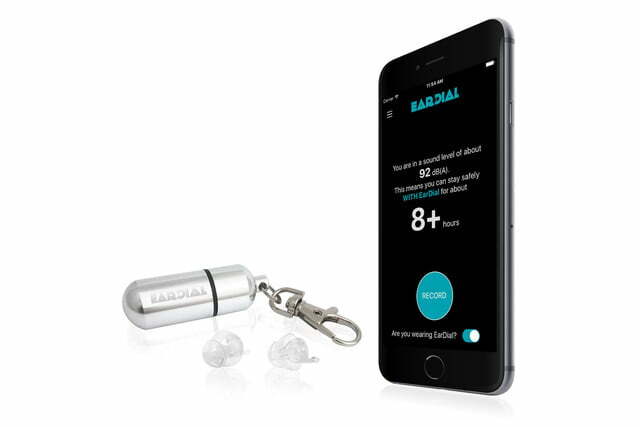 The makers of EarDial claim that the plugs contain a high-fidelity noise filter that will keep out harmful levels of noise while letting you hear clearly. The device also comes with a companion app for smartphones that will give you a decibel rating for the noise around you.